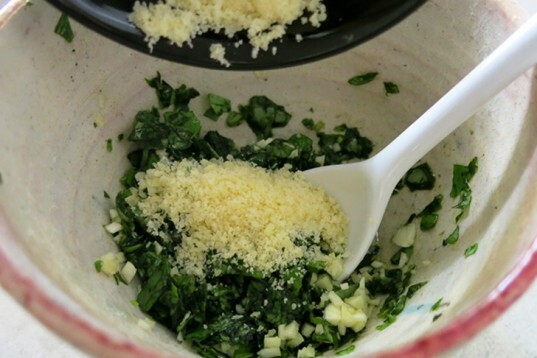 There are plenty of pesto recipes out there, but we thought we'd show you how to make pesto the “Italian’s way," chopped lovingly by hand – just like your Italian grandmother would make it, if you had one... or perhaps you do! This pesto takes just a few minutes to prepare, and you won’t need a food processor – or the energy consumption, noise and extra washing that goes along with it. 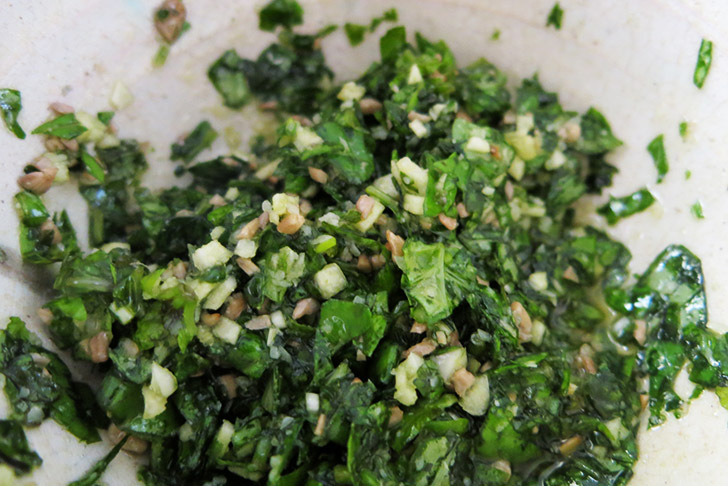 You will use your own power and patience while chopping away, creating a chunky sauce with sparks of flavor. Kids will love helping with the mixing process as well. 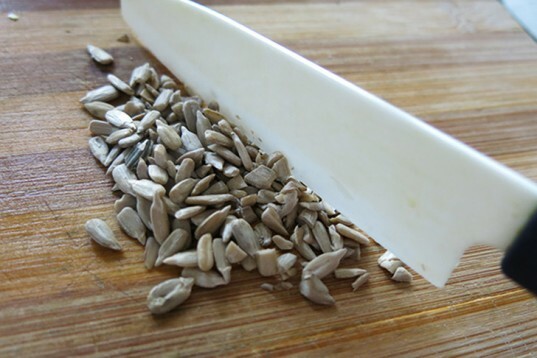 We replaced the traditional pine nuts for organic sunflower seeds, as they grow locally, add some chunky nutty flavor, provide linoleic acid, Vitamins E and B, and they're also less expensive. 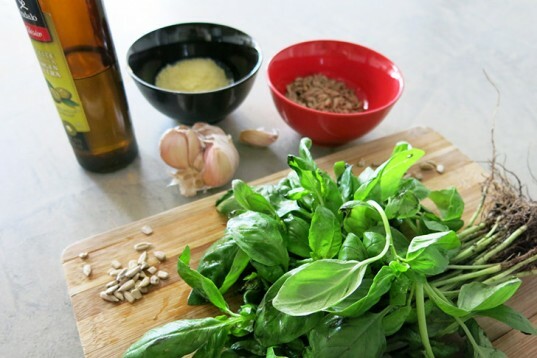 Pesto is the number one sauce to have in the fridge, as it is perfect for a quick pasta pesto dish, as a sandwich filling or to give roasted vegetables or soups a kick. With pesto this yummy on standby, you may even convince your kiddos to add a little color to their plain noodles! 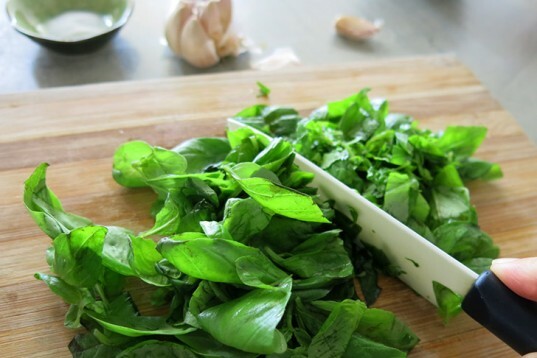 Wash the basil; and if you think it needs a little refreshment, you can give the basil leaves an ice bath before drying and chop (only the leaves!) well. Make sure the olive oil is extra virgin and if it’s organic and local, that’s even better. 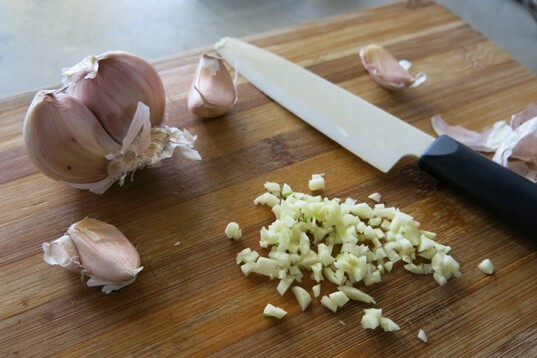 Chop the garlic, 2 cloves are great, but if you want a stronger garlicky taste, don’t shy away, add some more. 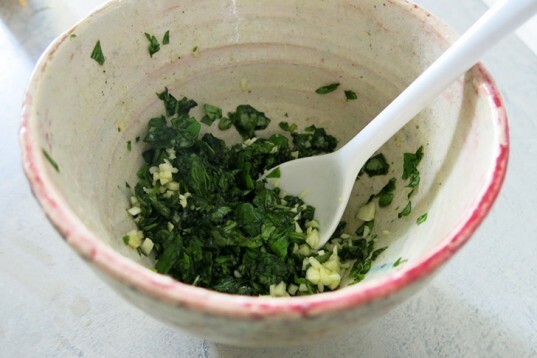 Mix the basil, garlic and olive oil so that they start releasing lovely juices and blending flavors. If you can grate the Parmesan from a chunk from Le Fromagerie down the road, that will be fantastic, otherwise the one from the packet will still add good texture. They are scented, and they are soft and easy to cut. Slice them in half. 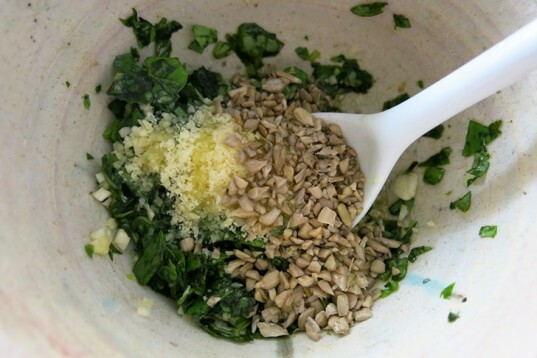 Mix all together: the basil, the olive oil, the Parmesan and the sunflower seeds. Add a hint of lemon or pepper if you’d like, add as much or as little as desired, and choose the best quality ingredients you can. Make this fresh recipe slowly, by hand, and use produce that grows nearby. And be creative! You can store your pesto in the last pesto jar you bought, inside the fridge. It won’t last very long, so enjoy immediately. The beautiful ceramic bowls featured here are made by hand by Victoria Watson. 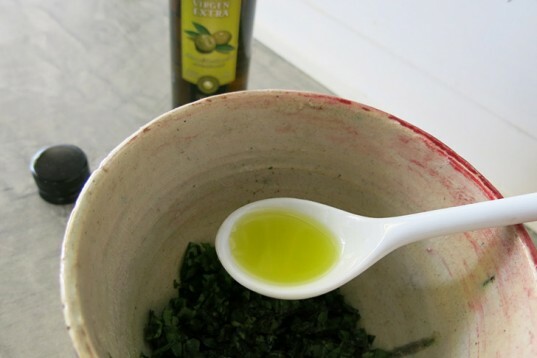 Make sure the olive oil is extra virgin and if it's organic and local, that's even better. 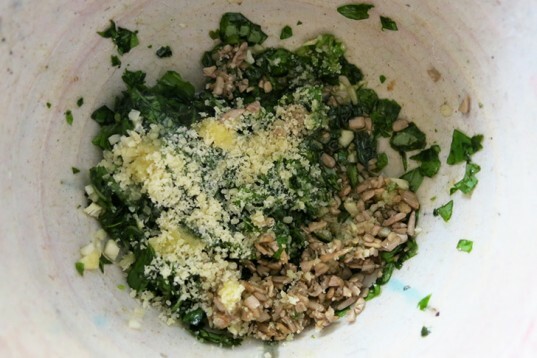 Mix all together: the basil, the olive oil, the Parmesan and the sunflower seeds. Add a hint of lemon or pepper if you'd like, add as much or as little as desired, and choose the best quality ingredients you can. 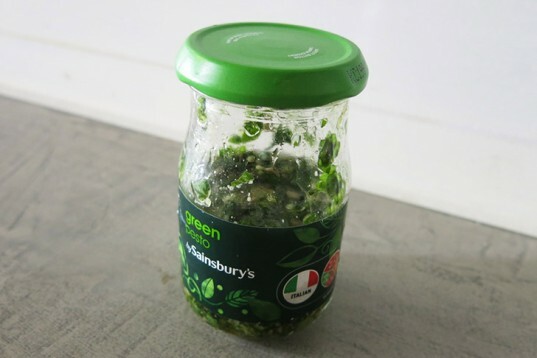 You can store your pesto in the last pesto jar you bought, inside the fridge. It won't last very long, so enjoy immediately.